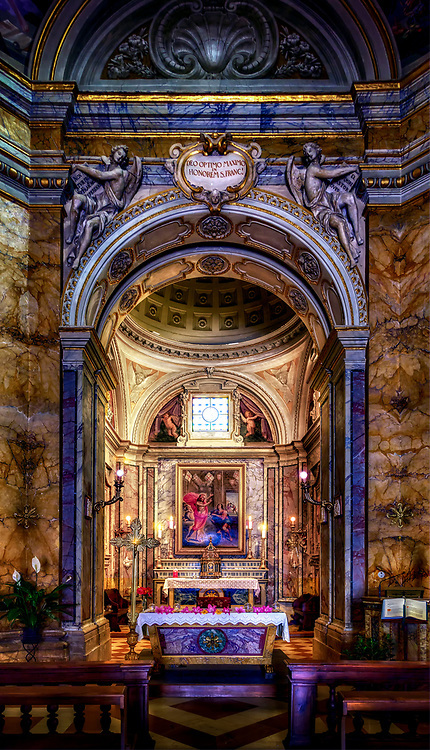 This mystical image is the main altar photographed while touring Chiesa Nuova (New Church)…the birthplace of St Francis. As I entered the beautiful small church, a Franciscan Monk working inside saw me and without reluctance, rose from his desk and graced me with a half hour tour speaking entirely in Italian. He never hesitated and he never assumed that I was not fluent in Italian; yet, he continued to entrust me with every detail of what looked like a mini Basilica. As we ventured around, he explained every nuance, even the crypt where Saint Francis’ parents reside. Upon completion of the tour, he shook my hand, gave me a gentle embrace, and bestowed a blessing in Italian. While not understanding the language, I left with gratitude and amazement …yet, somehow, I understood his every word.